The passage of the years seemingly accelerating, it’s time to look ahead to the 2017 – 18 season and draw up a selection of shows that look especially promising. Firstly, since I am still currently based in London, it’s worth taking a moment to look at what companies in these islands will be offering. The most notable thing about the Royal Opera’s season is that for once they are not giving us the endless runs of Traviata that have been a feature of the last few years. Instead, they will be putting on their new Richard Jones Bohème with some frequency during the season. All four casts have an element of interest so it will certainly be worth seeing at some point. Damiano Michieletto’s superb Cav & Pag is being revived with the enticing combination of Elīna Garanča and Anna Pirozzi double-cast as Santuzza (though rapture is regrettably modified since Daniel Oren is due in the pit). The two stand-out new productions will undoubtedly be a new Carmen from Barrie Kosky, featuring Gaëlle Arquez and Andrea Carè, and a new Z mrtvého domu from Krzysztof Warlikowski, quite luxuriously cast with Johan Reuter, Štefan Margita and Ladislav Elgr. The season promises more appearances from several of today’s leading singers – Lawrence Brownlee, Marie-Nicole Lemieux and Mariusz Kwiecień to name only three. In short, this is the Royal Opera’s most exciting season on paper for at least five years. At English National Opera, sadly the number of shows continues to diminish and there seems to be no reconsideration of their language policy. There will be an Aida featuring Latonia Moore and Michelle DeYoung and a world premiere by Nico Mulhy, Marnie, based on the Winston Graham novel known to film lovers through Hitchcock’s 1964 movie. Outside of the capital, Welsh National Opera is offering a Slavic-inspired season with Khovanshchina, Z mrtvého domu and Yevgeny Onegin while Opera North is reviving a season of one-act works including Cav & Pag, Osud and Trial by Jury. Across the Irish Sea, the ever-enterprising Northern Ireland Opera will be giving Belfast audiences a new Così featuring some of the best talent from the Emerald Isle with Aoife Miskelly and Anna Devin in a staging by Adele Thomas and conducted by Nicholas Chalmers. In Scotland, the highlight of Scottish Opera’s season will surely be a very nicely-cast new Onegin, directed by Oliver Mears. In common with the WNO production, it features the exciting young Welsh soprano of Ukrainian heritage, Natalya Romaniw, the owner of an instrument that combines a Slavic edge with Celtic warmth. And so here are some very personal thoughts on what I believe will be the operatic highlights of 2017 – 18. Les Troyens, Semperoper Dresden and Staatstheater Nürnberg, October, 2017. Two cities premiering two separate productions of Berlioz’ chef d’œuvre in the same month is quite remarkable. That both are casting almost entirely from within their own ensembles is testament to the high standards at both houses – the Dresden chorus is unquestionably one of the world’s finest. The Nürnberg production is the work of the visionary Calixto Bieito who will surely give us a staging unlike any seen before. Joined by Jennifer Holloway, Christoph Pohl and Christa Mayer in Dresden and Roswitha Christina Müller, Jochen Kupfer and Katrin Adel in Nürnberg, lovers of this work will clearly want to see both. Lucio Silla, La Monnaie – De Munt, Brussels, October 2017. A rare opportunity to see the 16-year old Mozart’s opera seria (although there is another production around the same time at Madrid’s Teatro Real). This Silla also marks the return of the Brussels company to their downtown home. Notable for the presence of the great Anna Bonitatibus as Cecilio, who makes magic happen when she sings Mozart. She is joined by a fine cast of noted Mozartians including Jeremy Ovenden and Simona Šaturová. Antonello Manacorda conducts a production by Tobias Kratzer who is rapidly being recognized as one of the most interesting young stage directors. Le Duc d’Albe, Opera Vlaanderen, Gent, November 2017. In 2012 Giorgio Battistelli, one of Italy’s leading contemporary composers, set about completing Donizetti’s opera, unfinished at his death. This year, Opera Vlaanderen is giving us the opportunity to see a revival of this fascinating hybrid in a production by Carlos Wagner. The cast also promises much featuring Dalibor Jenis, Enea Scala and Ania Jeruc. Andriy Yurkevych conducts. Il Barbiere di Siviglia, Théâtre des Champs-Élysées, Paris, December 2017. This will certainly be a very different production of an oft-performed work. The reason? The presence of Jérémie Rhorer and his outstanding Cercle de l’Harmonie in the pit. Joined by the superb US tenor, Michele Angelini, whose staggering fluency and ease of technique gives an enormous deal of pleasure, the Théâtre des Champs-Élysées has assembled a splendid young cast including also Catherine Trottmann as Rosina and Florian Sempey in the title role. The staging is entrusted to Laurent Pelly. Il Trittico, Bayerische Staatsoper, Munich, December 2017, January and July 2018. 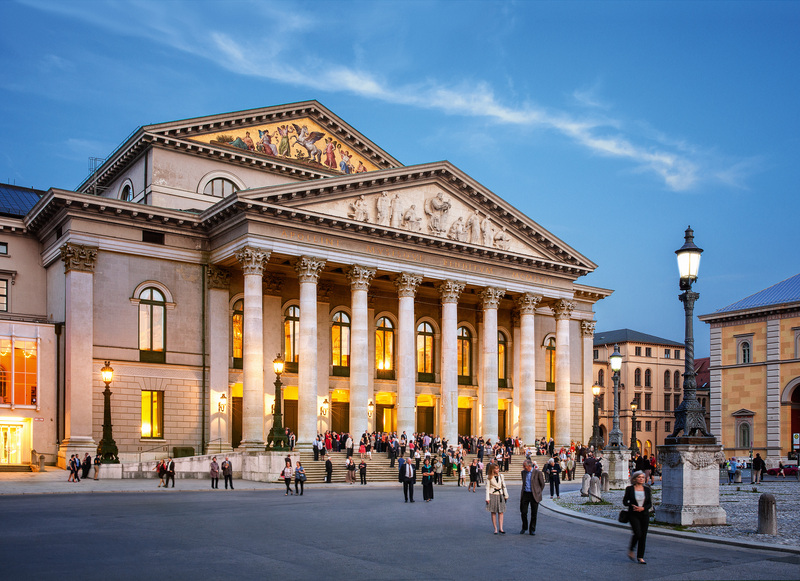 The Bayerische Staatsoper is well established as one of the leading lyric theatres and this new production of Il trittico is testament to the depth of casting available both in its ensemble and ability to attract guests. Ermonela Jaho returns to Angelica, a role in which she has already had great impact. Eva-Maria Westbroek is Giorgetta and Ambrogio Maestri, Schicchi. With singers of the calibre of Rosa Feola as Lauretta and Pavol Breslik as Rinuccio, musical values should be strong. Kirill Petrenko conducts a staging by Lotte de Beer, a new name to me but one well regarded in the industry. Carmen, Deutsche Oper, Berlin, January – June 2018. A role debut is always a special moment, particularly so when a singer of the calibre of Charles Castronovo is making his debut in the iconic role of Don José. His excellence in the French repertoire is well known and this will be an important next step in his career. He will be joined by Clémentine Margaine recognized as one of the most exciting Carmens to have appeared in the last few years. The production is the work of Ole Anders Tandberg and Ivan Repusic conducts. Die Gezeichneten, Komische Oper, Berlin, January and July 2018. There are two reasons why this production stands out for me. The first, predictably perhaps, is the presence of Bieito as stage director. This work with its focus on sensuality and the search of the elite for gratification should be well suited to his preoccupations. The other is the presence of two first-rate singing-actors in the cast – Ausrine Stundyte and Michael Nagy. Stundyte has collaborated on a number of occasions now with Bieito and the results are always astounding. Canny planners can see both the Carmen above and the Gezeichneten on successive evenings. 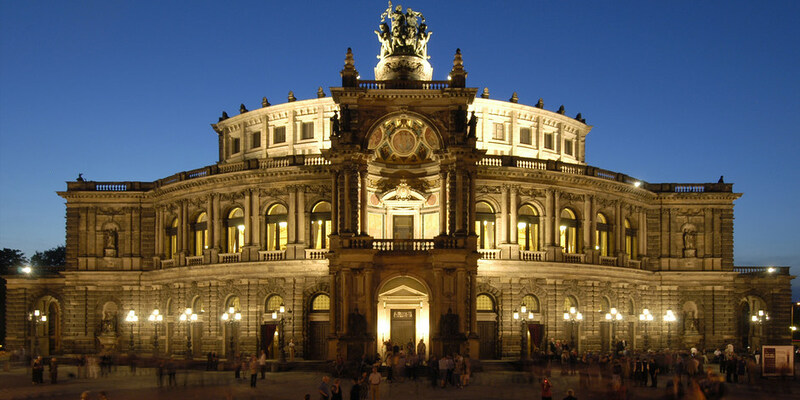 Parsifal, Oper Stuttgart, February – March 2018. Another revival and one that has been long-awaited. The Oper Stuttgart’s 2010 staging of Parsifal has become almost legendary due to Bieito’s radical take on the work. This of course is a Parsifal unlike any other. On this occasion, German tenor Daniel Kirch will be taking on the role of the ‘holy fool’ and joined by house favourite Christiane Libor as Kundry. Markus Marquardt, Attila Jun and Tobias Schabel round out the cast as Amfortas, Gurnemanz and Titurel. Sylvain Cambreling returns to conduct. Open-minded lovers of challenging music-theatre will need to see it. Messa da Requiem, Staatsoper Hamburg, March 2018. No apologies here for including a third Bieito production in a row. His staging of Britten’s War Requiem in Oslo last fall was absolutely shattering. I am looking forward, then, to see what he will make of Verdi’s Requiem a work that certainly offers plentiful fire and brimstone but also a considerable amount of reflection. His superlative ability to direct a large chorus is well known and so it will be fascinating to see how he will use his forces to create a cogent vision of the work. The house orchestra and chorus will be joined by Maria Bengtsson, Nadezhda Karyazina, Dmytro Popov and Gábor Bretz. The exciting young conductor Kevin John Edusei will be leading from the pit. La Donna del lago, Opéra royal de Wallonie, Liège, May 2018. The Liège theatre is a jewel of a venue with a delightfully friendly welcome. A pleasure, then, to have the opportunity to revisit for the Pesaro production of Rossini’s lady of the lake with an especially interesting cast and a production by the always insightful Damiano Michieletto. With singers of the calibre of Maxim Mironov, Marianna Pizzolato and Salome Jicia, this will be a must for lovers of his music. The bel canto specialist Michele Mariotti is in the pit. The Oslo Opera House. Photo: © Erik Berg. Don Giovanni, Den Norske Opera, Oslo, May – June 2018. 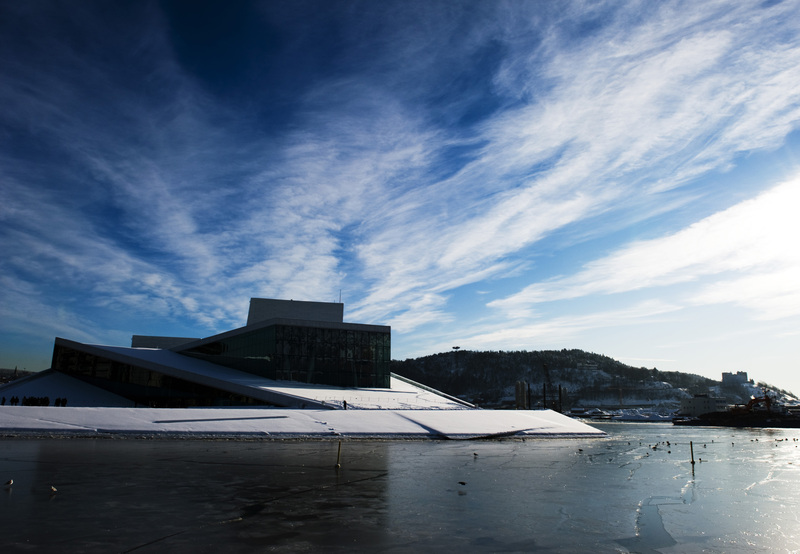 Architecturally stunning, the Oslo house also offers performances of an extremely high standard with excellent house forces, the chorus and orchestra at the highest level. Johannes Weisser returns to his breakthrough role in Richard Jones’ thought-provoking production, previously seen in London at ENO. He is joined by a very fine cast of Scandinavian talent, including Birgitte Christensen, Marita Sølberg, Caroline Wettergreen and Jakob Bloch Jespersen. The conductor is yet to be announced. The title might look familiar but what we will be getting will indeed be a rarity – the opportunity to enjoy the first version of Gounod’s Faust, under the auspices of the Palazetto Bru Zane who have done so much to promote French music of the nineteenth-century. This concert performance will also be distinguished by the period instruments of Les Talens Lyriques with the glorious Véronique Gens making her role debut as Marguerite as part of a mainly Francophone cast. Jean-François Borras sings the title role and Andrew Foster-Williams Méphistophélès. The presence of the exceptional Vlaams Radio Koor will also make this a must-see. Der Ring des Nibelungen, San Francisco Opera, San Francisco, June 2018. In June 2016 I had the pleasure of losing my heart to the city by the bay during San Francisco Opera’s summer season. For 2018 they have assembled a mouth-watering cast for the ultimate test of any opera company’s resources – the Ring. The opportunity of seeing two of the very greatest singing-actors of our time – Karita Mattila and Evelyn Herlitzius as Sieglinde and Brünnhilde – is one any opera lover will want to take. I must admit to being skeptical of Francesca Zambello’s work but with a cast like this and the highly experienced Wagnerian Donald Runnicles in the pit, this will surely be the operatic event of the season in North America. La Damnation de Faust, Palau de les Arts, València, June – July 2018. 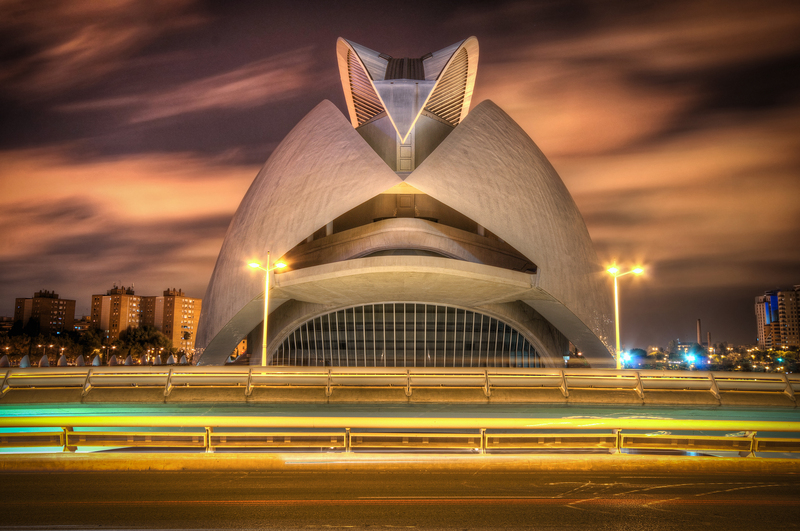 Any opportunity to visit the stunning Calatrava-designed Palau de les Arts is a pleasure, especially so given the splendid chorus and orchestra – surely among the world’s finest. The added interest here is the staging of Michieletto who will no doubt give us production of superb stagecraft and phenomenal insight. The cast looks interesting – Canarian tenor Celso Albelo in the title role and Rubén Amoretti as his nemesis. Roberto Abbado conducts. Ariadne auf Naxos, Festival d’Aix-en-Provence, Aix-en-Provence, July 2018. There’s something quite magical about seeing a show at the Théâtre de l’Archevêché as night falls under the Provençal sky and this is a very exciting prospect. Katie Mitchell is a somewhat uneven director but can be incredibly insightful. The trio of Lise Davidsen, Sabine Devieilhe and Eric Cutler making his role debut as Bacchus looks absolutely unmissable. The 2018 festival looks like an exceptionally promising vintage with performances also of The Fiery Angel with the superb Ausrine Stundyte and Die Zauberflöte with Raphaël Pichon leading his ensemble Pygmalion with the fabulous Mari Eriksmoen as Pamina. As always, there was so much that I wasn’t able to include. What are you looking forward to? Since you’re reading, I just wanted to draw your attention to the fact that you can also help sustain and expand the range of coverage of the site. For the price of a coffee you can support operatraveller.com via the site’s Patreon page. Similarly, you can make a one-off gesture via PayPal. Thanks for your support – by reading and supporting you are helping to provide independent, informed and accessible writing on opera. Sorry to read that you find nothing of interest not in Sweden bor in Denmark. If you lack of information you can read morse on My blogg http://www.operalogg.com Welcome!